FACING FIRE is a hard rock band from Southern Ohio. Collectively, the members have been in multiple bands and played countless shows. They officially formed as FACING FIRE in late 2016 when vocalist Scott Artis, guitarist Tony Phillips, and bass player Josh Quillen began writing material together. The band released a music video to go along with the single (video on KNAC.COM HERE). After so much success with the first single, the band headed back to Nashville to put the finishing touches on their EP in early 2017. "FACING FIRE has been the chance of a lifetime. I finally get to make the kind of music I've always wanted. When all the pieces come together like this and there's that chemistry there, it's an amazing experience as an artist. You can't help but want to work even harder and do even more. We just want to explore where the music takes us and we really hope the listeners will be as involved in the experience as we are," says Phillips. The band then rounded out their lineup by adding Samuel Gibson on drums and began crafting their live show. After receiving several offers from various labels, the band finally settled on a deal with Pavement Entertainment in July of 2017. "We have been fans for a long time of many of the bands on this label and we knew it would be a good fit to propel our music to the next level," said Artis. The EP is coming out through Pavement Entertainment on February 16, 2018. The bad is excited to bring their heavy-hitting music to life. 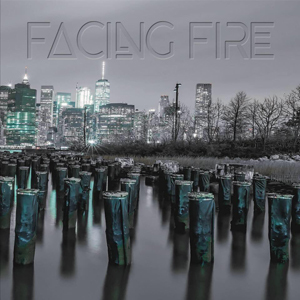 Look for Facing Fire with their high energy live performance in a city near you!